“Federal law says we can busk, ’cause we’re entertaining for tips, not panhandling, or begging,” says Brian Demers, who used to play guitar in GG Allin’s hard-rock band Malpractice but now can be found busking around town wearing a plastic horse head. “I can sing and play wearing the mask, but it’s like wearing a blindfold. I can only see out of the nose and mouth. 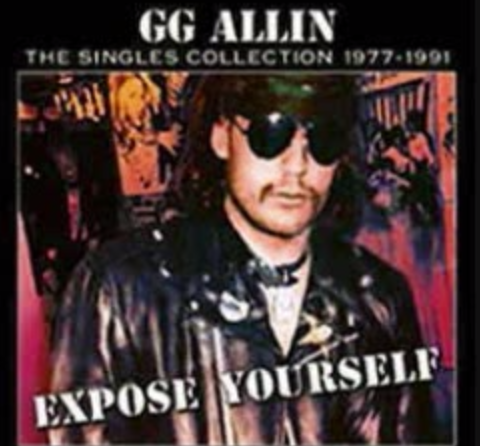 ...by Malpractice, with Brian Demers on guitar and GG Allin in drums and included on this GG Allin singles collection. He says his horse-head act goes over best at shopping centers where shoppers have spare change from fresh purchases, especially weekends between noon and four. Some stores welcome his presence to draw attention and crowds to their storefronts, but other retailers are less accommodating.